The bougiest brush ever! size, 10.5 which is just slightly wider than our popular #10 sculptor. 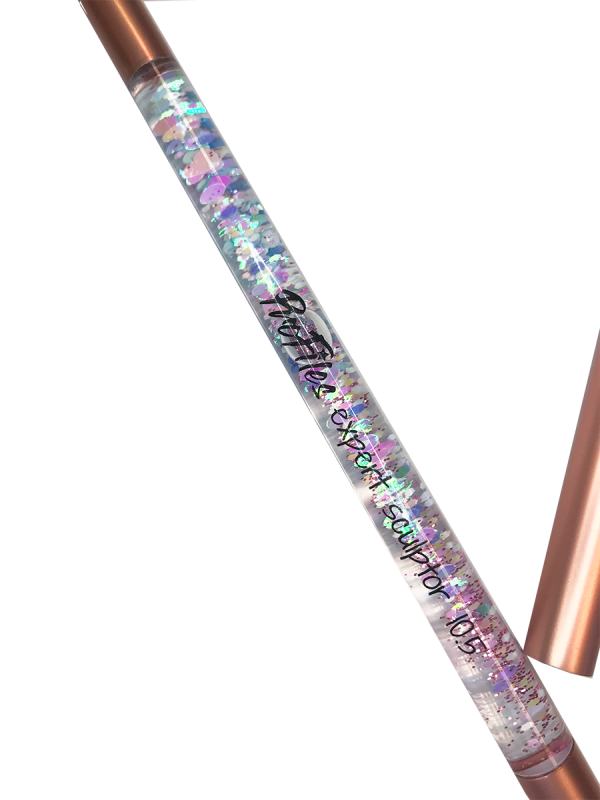 Kolinsky acrylic sculpting brush comes with rose gold cap… and yes there is floating glitter in the handle! !